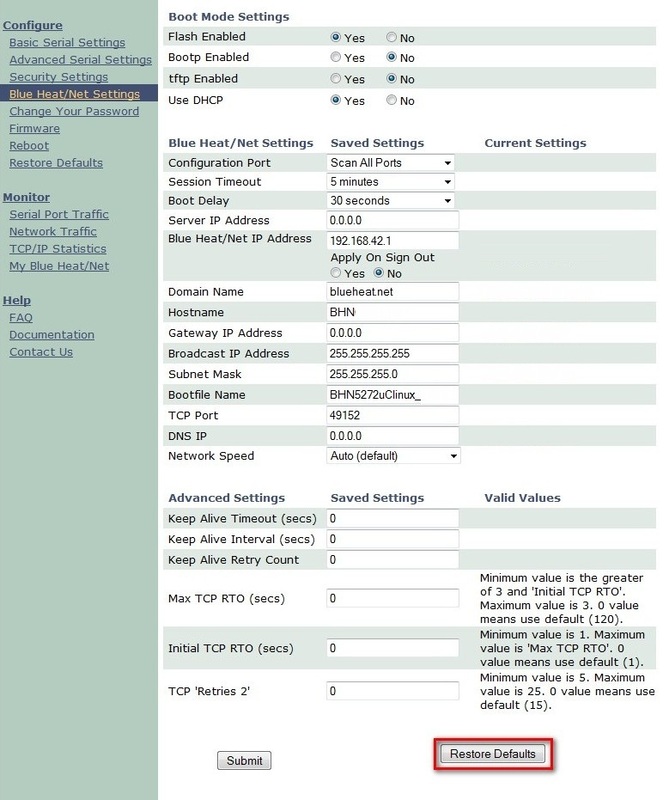 kdb326: Overwrite all saved settings on the Blue Heat/Net and Blue Heat/Net Sync - Connect Tech Inc. 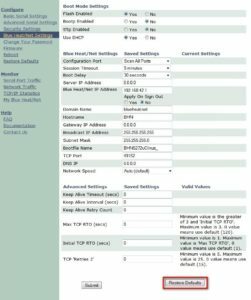 The following steps can be used to restore and overwrite all settings modified on the Connect Tech Blue Heat/Net and Blue Heat/Net Sync ethernet to serial devices. While no incoming/outgoing data is ever stored on the unit, the asynchronous and/or synchronous serial and network settings of the unit are. This procedure can be used to restore all default settings to a unit for recomission in a new environment, or to ensure that any previous settings have been overwritten. 2. Once the settings have been restored to defaults select Save to Flash and reboot the Blue Heat/Net. All settings have now been overwritten to factory defaults, and the unit should be discovered at its default IP address (192.168.42.1).